During the winter months, you will often see white on mountaintops or up just one side of a mountain. 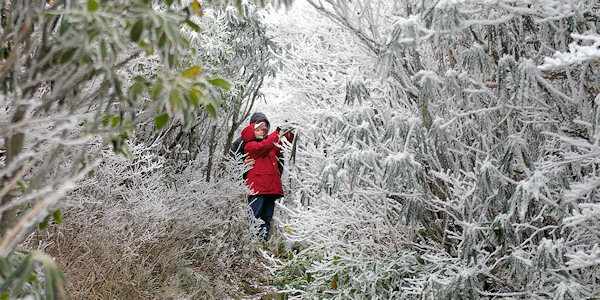 You may think it's snow, but it is often rime ice formed when water droplets in clouds or fog freeze to the trees. Often, the rime ice forms just on the windward (wind-facing) slope of the mountain as clouds sweep over the ridge. 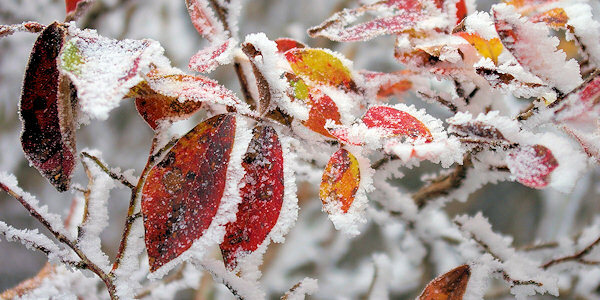 Wind will work with the moisture and freezing temperatures to form some beautiful scenes and sculptures. In this photo, you can certainly tell which way the wind was blowing! It creates a winter wonderland for hiking. Many times, the rime ice will coat the trees and the ground is dry. 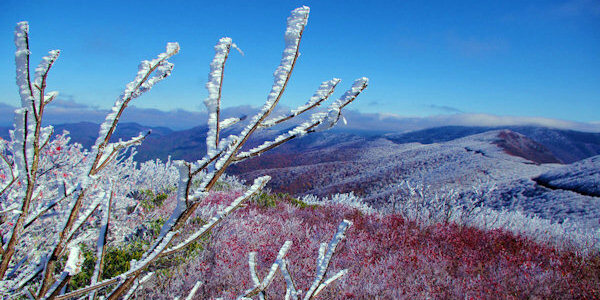 But when rime ice is combined with snow cover, it creates a breathtaking walk in the higher elevations near Asheville. You'll often see rime ice on trees along the Blue Ridge Parkway in the Craggy Gardens area (pic above) in the early spring and late fall. Located on the Blue Ridge Parkway, the Craggy section of the Parkway is closed much of the winter. 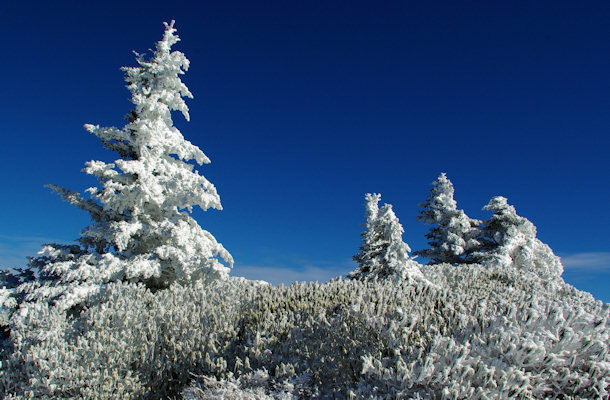 See more photos of rime ice and snow at Roan Mountain, plus get tips for winter hiking. 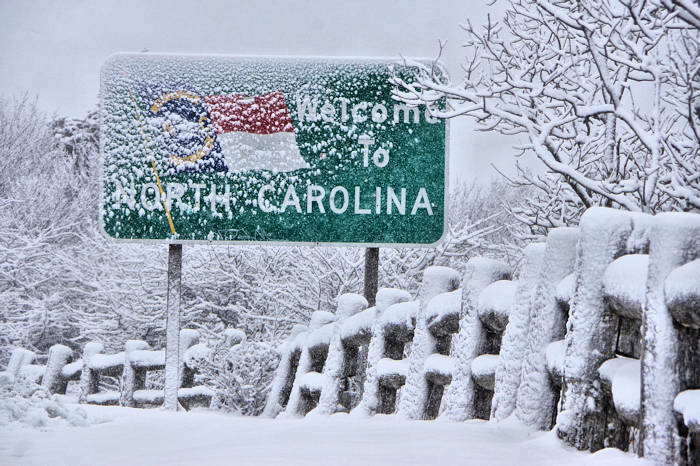 See our favorite winter hikes in the NC mountains.